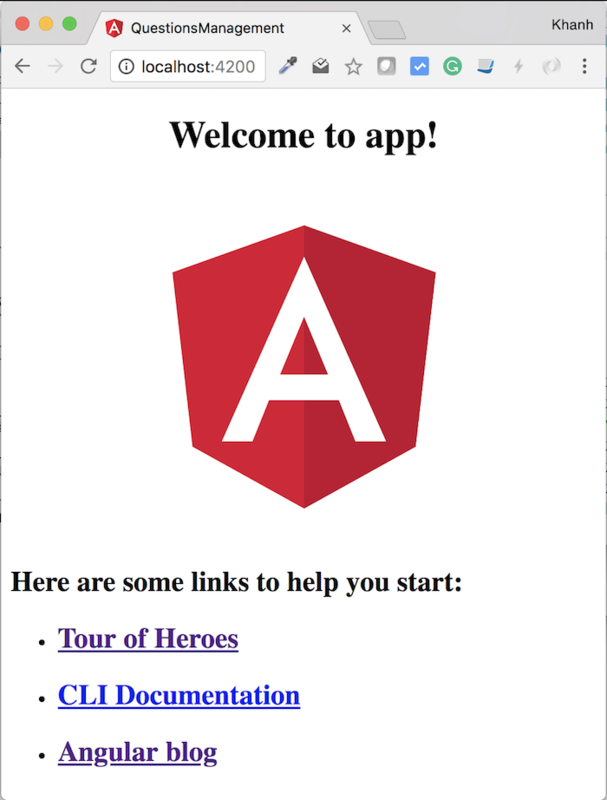 I have a tutorial that guides you all on how to create a new Angular project using Angular CLI. Every operation is similar, only the project name will be different! Would it be more reasonable if we renamed the questions-management folder to your frontend? To apply using the frontend-maven-plugin for our Angular project, I will create a new pom.xml file in this directory. At this point, if you run “mvn install” and then run “ng serve” then the result stays the same.